how to make 2014 your best year ever and more! PETRA LOVES KALE!!! And she loves Inspiring, Empowering and Healing people through green smoothies, juicy food and juicy thoughts! She is a national spokesperson for the benefits of green smoothies, fresh juices, raw food, alternative healing, natural beauty and proper bowel care. She is the founder of GreenSmoothieGangster.com and EatJuicy.com where she shares inspiring, empowering, entertaining videos and posts about health, vitality, stretching, youthening, grounding, healing, longevity, disease prevention and self love!! Petra is a Raw Vegan Chef, Public Speaker, Health Coach, Juicy Life Activist and Green Smoothie Gangster. She has coached, inspired and transformed people, including many celebrities all the world. Follow her to Eat Juicy, Think Juicy and Feel Juicy!! Never miss a show! 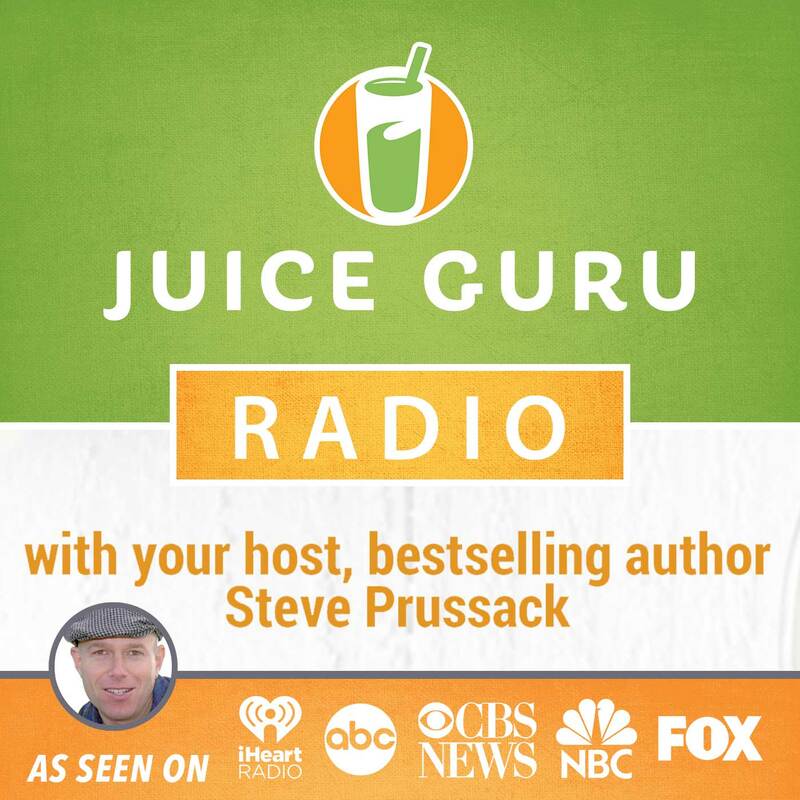 Subscribe to Juice Guru Radio below. Grab the ONLY juicing recipe you'll ever need! This is The ONLY Juice Recipe You'll Ever Need! GET Juice Guru Steve Prussack's "TAPE TO THE FRIDGE" poster day. It's the same recipe that was featured in our Amazon bestselling Book, Juice Guru: Transform Your Life by Adding One Juice A Day".